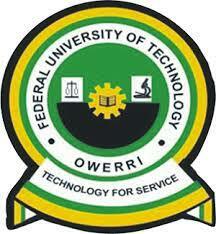 The management of the Federal University of Technology, Owerri (FUTO) has released the pre-degree registration procedure for the 2017/2018 academic session. 1. STUDENT PORTAL ACCOUNT VERIFICATION. Get the Account Notification slip bearing your login details with your Application Number as the default username and Password. Enter the default password and the new password, confirm the new password. Click on the link “Acceptance”, enter your email address and then submit to generate your payment invoice. Print your payment invoice containing the RRR code and proceed to any bank for payment. After successful payment in a bank, return to the portal and log in with your account details to print FUTO your Acceptance receipt. Print your payment invoice and proceed to FUTO MICRO FINANCE bank for payment. After successful payment in a bank, return to the portal, log in and print FUTO Hostel allocation e-receipt. Click the close menu, this takes you back to Login page. For further enquires contact ICT Centre, Call the support line 08139833300.